I'm pretty sure you have heard about how great the deals are during Boxing Day in London and out of curiosity, I wanted to see it for myself. Went unprepared, unarmed and with no expectation, I marched to Harrods at 10am on Boxing Day. As I approached the departmental store, there was a massive traffic jam. 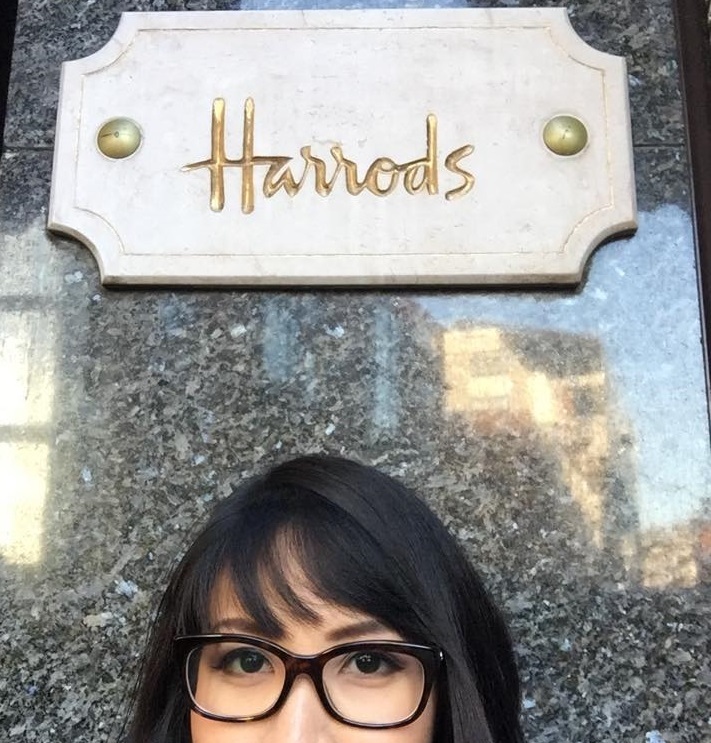 There was already a long queue outside Harrods, approximately 200 customers, loaded with cash and ready to spend it on things that marked with 'sale'. I found the side door and went into the departmental store and went in without queueing. Why did the people lining up when there's a door for direct access? Turn out, they were lining up for the perfume section which only opens at 10:30am. And it requires a ticket to enter the perfume section on Boxing Day. I believe the ticket is issued with purchase before Boxing Day. Without the ticket, you are not allowed to enter the perfume section. At 10:00AM, the crowd wasn't that bad. I head straight to the food section (note that Harrods separate the departmental store into different rooms) and found the Harrods Cafe. I prepared myself with some hearty brunch to fight the Boxing Day war. There are many restaurants, cafes and contemporary food outlets. You will be spoilt of choices. There's even Godiva & Disney cafe in Harrods! 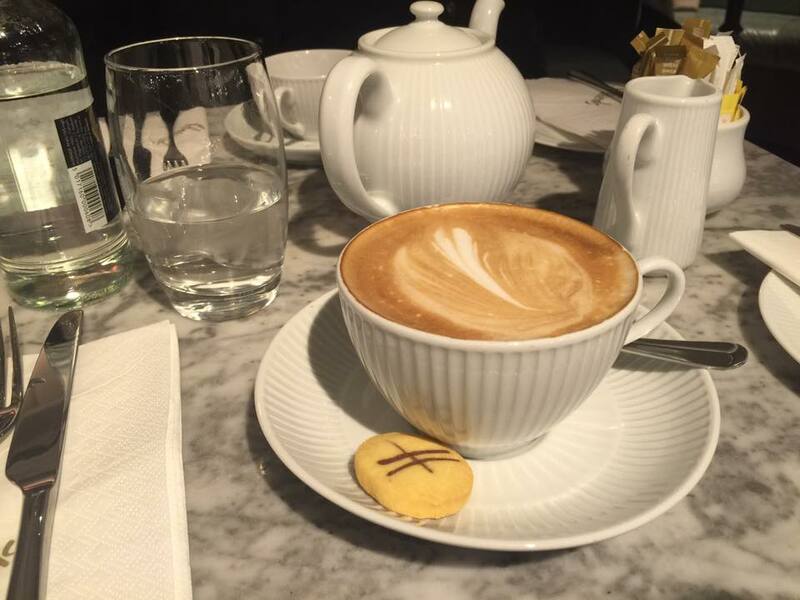 To stick to the simpler option, we went to the Harrods Cafe (also the very first cafe that opened on that day). 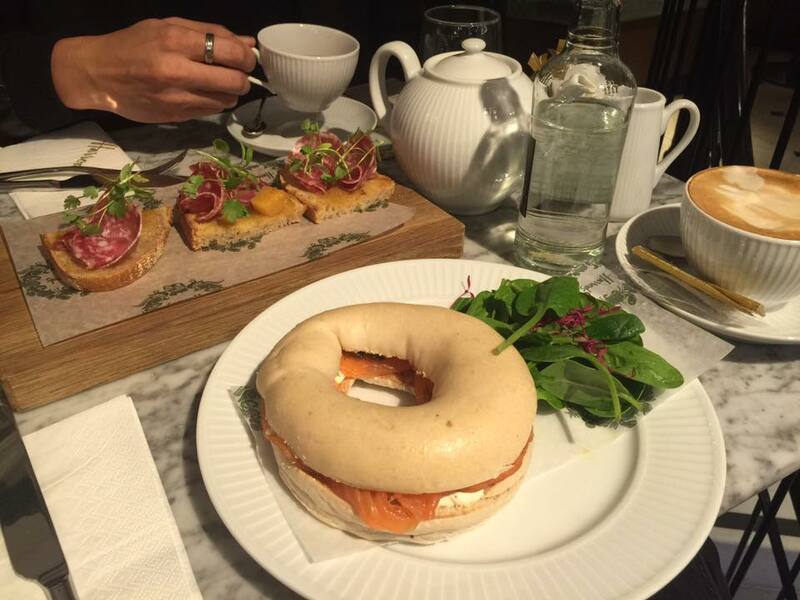 The smoked salmon bagel was great and the roasted beef baguette is even better. 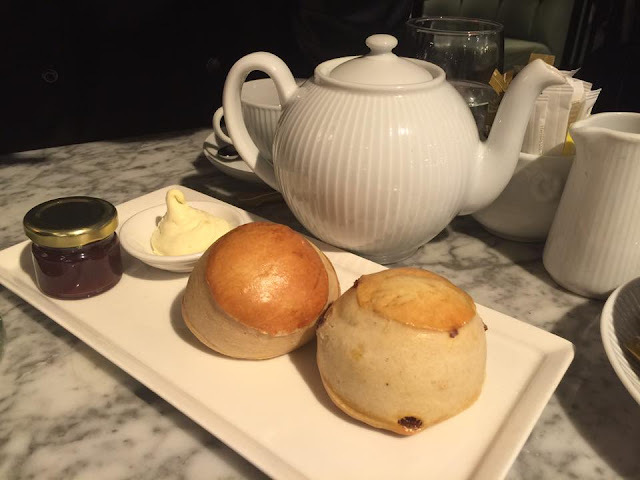 We also ordered a set of scones because, you just have to eat scones while in London. Initially, I do not have a shopping list. I was there to experience the Boxing Day crowd. When the shoppers start piling up, I begin to have a panic attack. All I wanted to do is to get out of the place as fast as I can. At the same time, I couldn't leave Harrods without rewarding myself with something. So I begin to draft my shopping list in my head while having my brunch at the cafe. 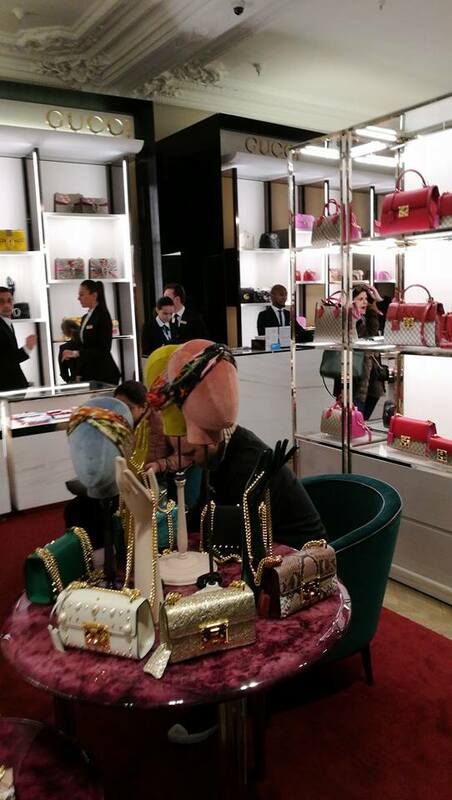 In my mind, I wanted to get Givenchy Antigona bag, Chanel purse, Jo Malone perfume, Gucci Soho bag, Charlotte Tilbury lipstick, Huda Beauty Eyeshadow Palette & lipstick, Christian Louboutin lipstick, La Mer eye cream and some confectioneries. In the end, I had to cross out half of my list because (1) I couldn't get into the section where the product was placed, (2) I couldn't find the location of the product and (3) they're sold out. There's a free wifi available throughout the departmental store. You can download the app on your mobile. The app allows you to check the places of the product you are looking for, the price and the general map of the store. Each section/brand is barricaded and you have to queue outside the barricade to get into the section. One way to get into the place faster is to know what you are going to buy already. There will be a bouncer (or guard) standing at the front of the line. Just walk to him, show him the photo of the product you want to get. Pretending not to speak English also helps. By the grace of God, he will let you in. Proven from my experience at Gucci. It didn't work at Givenchy though. One of the benefits of shopping at Harrods for tourists is the tax return. The store is a patron to Global Blue and they also have the facility to assist your tax refund at their store located at level 4 (or 5, I can't remember, but the apps able to bring you there in seconds). Expect a super long queue at the tax refund office. To save some time, you can ask someone to queue for you at the tax office. You will need to show your receipt in order to get your queue number. Purchase item #1, then get someone to queue for you, while you shop for item #2, #3 and so on. Harrods is a great departmental store because it has wide range of products and you can get anything under one roof. However, the crowd during Boxing Day was mad. In fact I see people arguing, snatching from each other or even pushing to get their way through. I personally think it isn't worth the time if you do not have any specific item to purchase. You won't be able to stroll and take your time to try out the stuff. Even if you have a list of items you want to buy, you might not get it. Contrary to popular belief, not everything is on sales. I bought the Gucci Soho and it is under their regular item range and there was no discount. Initially I wanted the red one, but it was sold out and had to opt for the black one. I went to Givenchy and the price for the Antigona bag is also a regular price item. That's when I decided I had enough of shopping. I'm on a losing end to fight in the war of Boxing Day shopping when I saw the army of China tourists coming in. And not surprisingly, they have better spending power than us (maybe not you, but me). Wow... and you survived to tell the tale. Arguing, snatching and pushing, count me out from there. Thanks for the useful tips, I agree with having a meal before start shopping. @Rika: Exactly. I could have stayed longer if there's no arguing, snatching and pushing around. Nonetheless, pretty new experience for me.